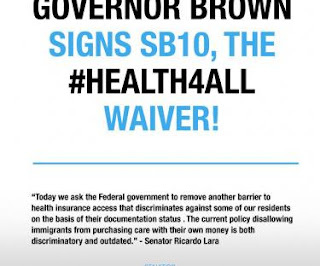 Recently reported, Sen. Ricardo Lara (D-Bell Gardens) has withdrawn SB 10, a bill that would have allowed undocumented immigrants to purchase health insurance on Covered CA (without subsidy) and undocumented children to enroll in no-cost Medi-Cal (California Medicaid). 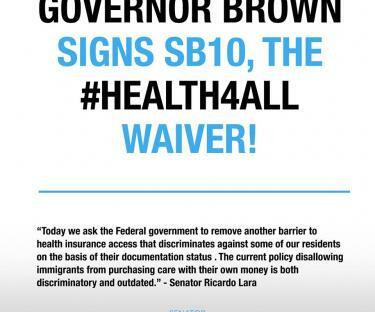 SB 10 was signed into law by Gov. Brown in 2016. It required a waiver from the Federal Government which was never granted.